If you're a big NBA 2K12 fanatic and you think you got what it takes to trash other players then join this! 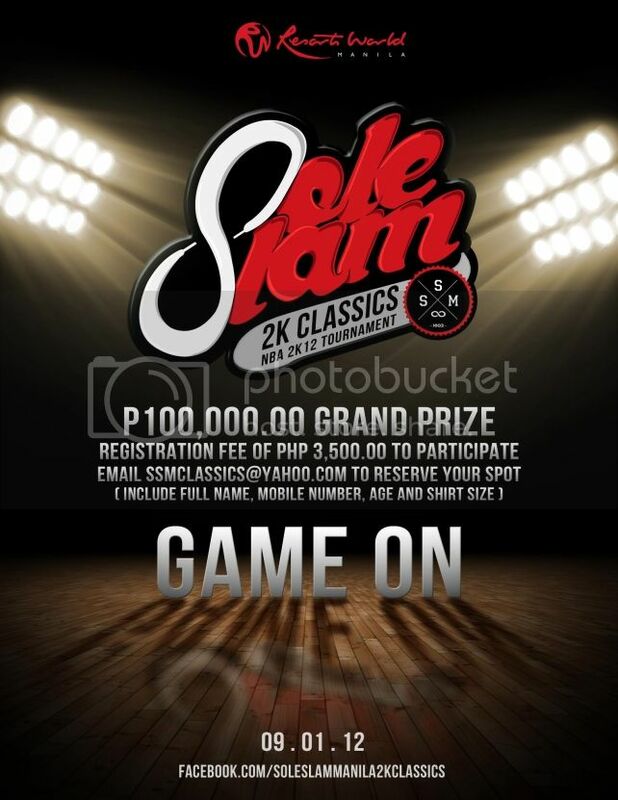 For more info visit Sole Slam Manila 2K Classics on facebook HERE and register through ssmclassics@yahoo.com. 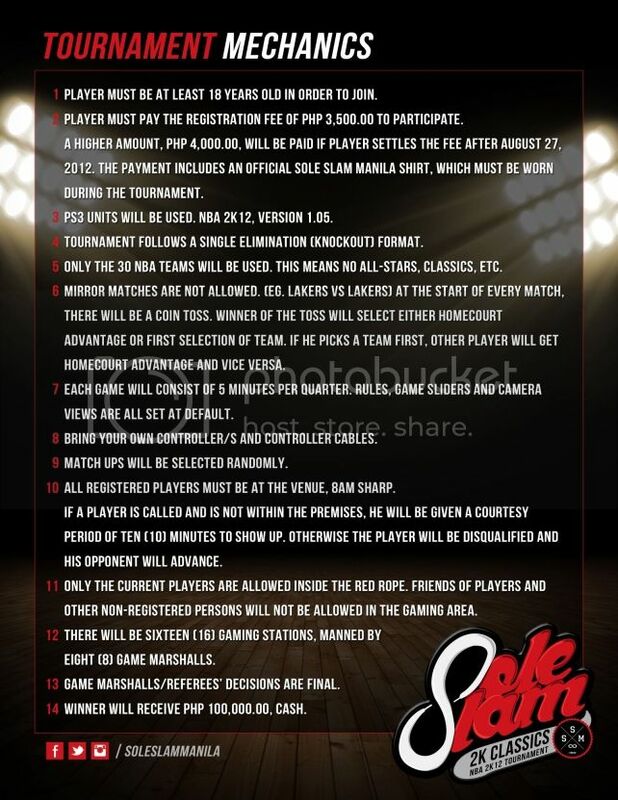 There will be an autograph signing for tees purchased with Infinite Clothing Co. September hottie Karen Bordador from 1pm to 3pm and showstopper Paloma Esmeria will be awarding the grand prize of 100,000 pesos!